More technology and robustness for your company, working 24/7 with low maintenance cost. 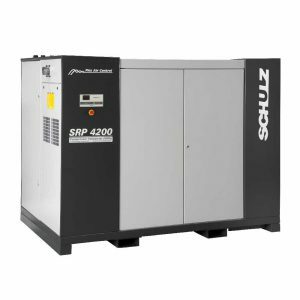 The Schulz lubricated rotary screw compressors combine technology and experience to generate efficiency and productivity. Developed with the best engineering practices, they are products assembled in accordance with your market requirements. 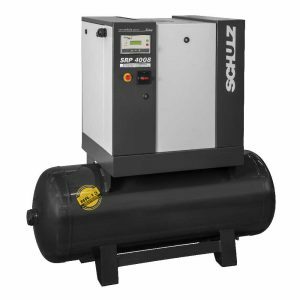 Innovation investments and tradition of a company that knows about air compressors. Select the best line for your application. 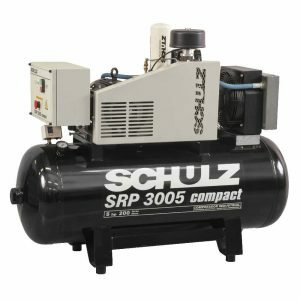 The Schulz Rotary Screw Compressors are developed for industrial applications and offer durability and resistance with excellent performance. Schulz is the largest manufacturer of air compressors in Latin America and develops innovating equipment with technology and quality so that your company gains productivity and is prepared to grow. Designed from the best engineering practices, the Schulz lubricated rotary screw compressors are tested in state-of-the-art laboratories, ensuring their efficiency and productivity in the most varied industrial applications. The Compact, Lean, Dynamic and SRP 4000 lines, with models from 5 to 250 hp, deliver efficiency and strength for your company 24 hours a day, 7 days a week with the lowest maintenance cost in the market. 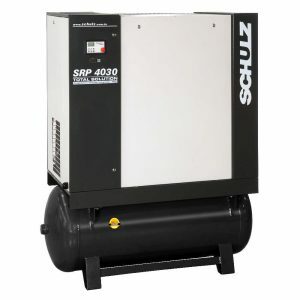 The SRP 4000 FLEX line supplies compressed air with energy efficiency due to the variable speed system driven through the frequency inverter, which ensures energy savings and productivity for your company. Besides these lines, Schulz also offers special and customizable products in accordance with each customer’s requirement. Choose the Schulz screw compressors and obtain reliability, performance and savings for your company.